Contains Eddie Money renditions of 12 of his favorite, classic hit songs. Contains new Eddie Money renditions of 12 favorite, classic hit songs. * Eddie has sold over 10 million records! * Charted 11 Top Ten Billboard Hit Singles! * Charted 8 Top 100 Billboard Hit Albums! * Performs over 100 shows each year! When you walk into the Money household, you had better be prepared for sensory overload! "Loud and chaotic," is what 18-year-old Jesse Money calls a day in the life of her creative family. All five of the kids in the family (Jesse and her 4 brothers) are musicians of some sort and are fiercely competitive so when one starts singing or playing an instrument, the others jump right on in! The Proud Papa is - living breathing, walking, talking, and most importantly - singing legend Eddie Money. He's ready to take things back to the days in which he grew up to show his kids - and other music-loving kids of all ages out there- why they call the songs he recently recorded, "classics." WANNA GO BACK is available now. The album is an homage to the rock of the 1960's - music that the 15-year old Eddie Mahoney and his band, The Grapes Of Wrath, played in their live sets. "Good Lovin," and "Build Me Up Buttercup," are just two of the many feel-good tracks on the album. "The greatest Rock and Roll ever came from that time period, "explains Eddie." It was a great time to be alive. You had your girl, your car...what else did you need" Jesse adds to the enthusiasm for the era by proudly declaring, "Dad kept me away from the crap - he trained me to listen to the best music." Three of the tracks, "Mockingbird," "Hold On I'm Comin," and "Aint No Mountain High Enough," feature Jesse Money's debut recordings. "It's a pleasure to do this with my daughter, even though my lovely wife, Laurie, and I really would rather her have been a doctor," Eddie explains with a wink and a smile. She is also a big part of Eddie's live show adding her youth and enthusiasm on stage to some of his most popular songs, including the Ronnie Spector part in "Take Me Home Tonight" and the Jo Baker part in "Baby Hold On To Me," where Eddie makes a heartfelt tribute to his friend Baker, who passed away in 1996. 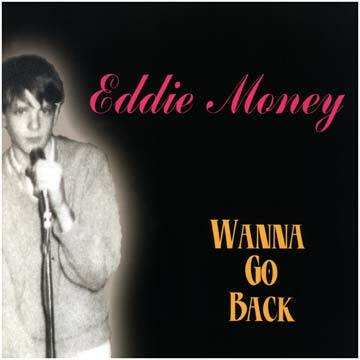 There was little re-working of the songs on WANNA GO BACK. The tracks are faithful to the originals - pristine - and Eddie wouldn't have it any other way. Members of Tower of Power, Starship, Greg Allman Band, Cold Blood and the Etta James Band horn players were involved in the recordings. The album was produced by Randy Forrester, Eddie's keyboard player, and released thru his company, BIG DEAL PRODUCTIONS, Inc. and WARRIOR RECORDS, distributed via UNIVERSAL MUSIC DISTRIBUTION. Forrester has been a part of the Eddie Money clan since Money admittedly "stole" him from blues guitar legend Elvin Bishop's band in the mid '90s to play keyboards for his band. The close knit touring group is rounded out by longtime guitarist, Tommy Girvin, bassist Lee Beverly and drummer Chris Frazier. "Lately, I have been running into the guys in my old band, The Grapes of Wrath," Eddie muses. "One guy was a junkie, he is on methadone now. He works for a cab company and is a jazz guitarist. Another is married and an English teacher, you'd never know he was a rocker. It is great to be able to see them and give them a record of the stuff we played all those years ago." 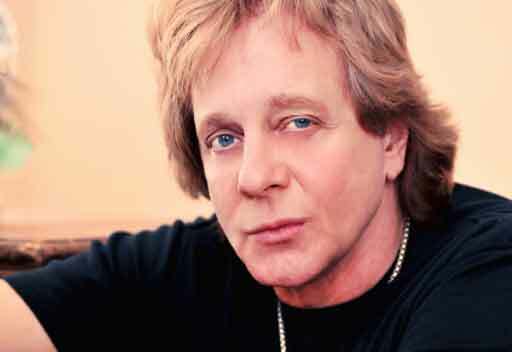 One of the things that's made Eddie Money such a huge success throughout his career is his connection to his fans. "I have probably signed every copy of every album I've made," says Eddie of his personal touch with those who love his music. Eddie's fan base bridges many gaps including people who got into his earlier albums, their kids and even celebrities like Oscar de la Hoya (who trains to Eddie's music), Will Smith (who chatted Eddie up at his Drew Carey show guest spot) and Kevin James and Ray Romano ("they know the words to songs I forgot I even sang," says Eddie), making this working class rock hero one of many diverse groups. Further heroism is shown in his charitable efforts. He performs at fundraisers for local schools every year. He also donates a portion of his merchandise proceeds to the Elizabeth Glazer Pediatric Aids Foundation. Eddie Money's career has a mythical quality. The successful rock icon is doing what he always loved. It's what took him out of the New York City Police Force and across the country at such a young age - playing and performing his own music! 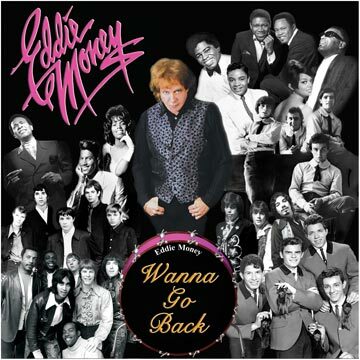 And, of course, Jesse brings it all together by showing us that Eddie Money, for all he's been through personally and professionally, always comes out the big winner. "My younger brother, Joe, is a straight-A student," she says with a sly smile. "Dad may get his doctor in the family yet!"